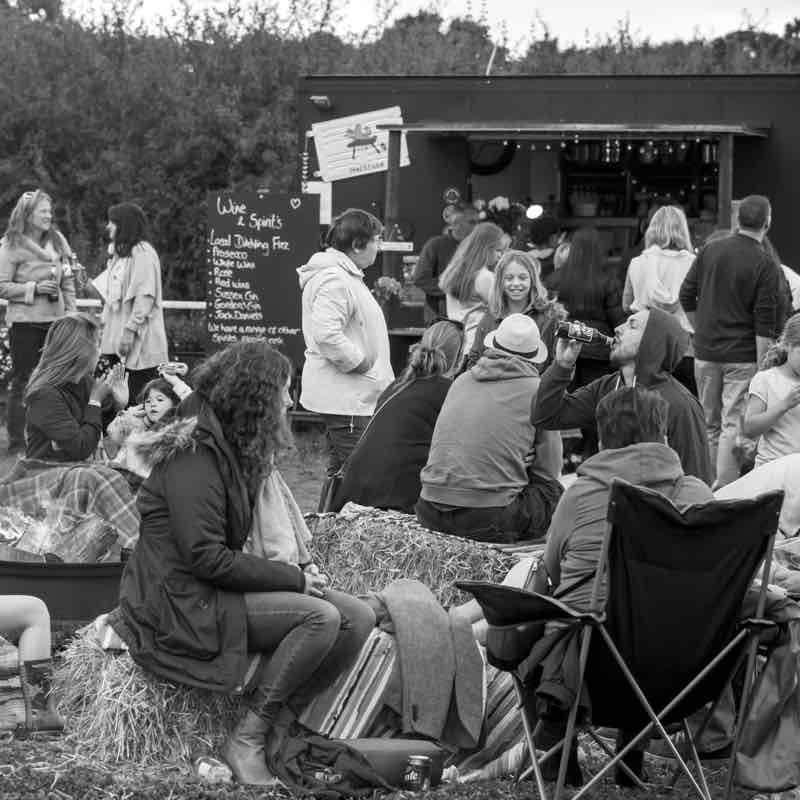 Our Mac Shack bar will be open all evening, serving you a range of locally produced cider as well as some old favourites. We will have a range of other alcoholic, soft and hot drinks available. We will have locally made sausages from Holmansbridge Farm in Barcombe cooking away on our farmers BBQ for you to tuck in to. 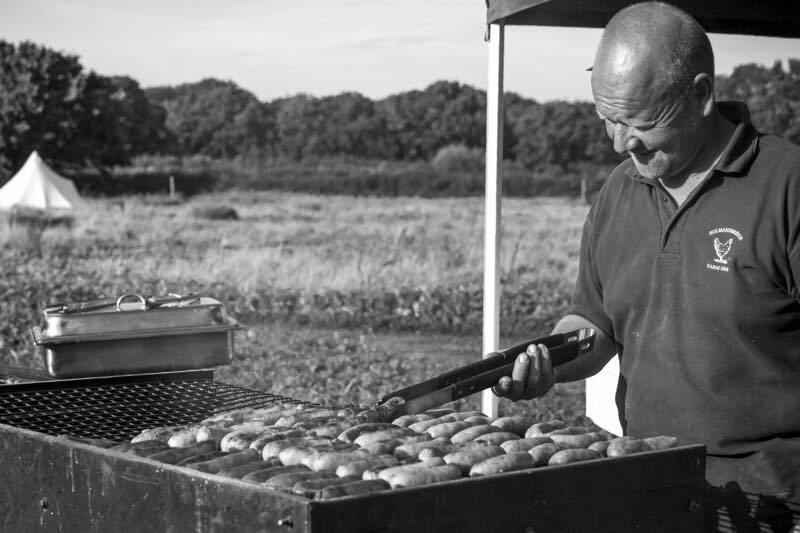 Our outside fire pits will be roaring, which means you can relax outside with some delicious, locally made produce whilst watching the sun set over the trees. We couldn’t think of a better way to spend a summers evening and we can’t wait to see you all there. This is a family friendly event with the live music finishing by 11 pm. Tickets include entry to the event, an evening of live music and one local hot dog per person. Extra food and drink will be available at an additional cost. Only food and drink purchased from the event can be consumed on site whilst the event is taking place, you cannot bring your own. Evening Tickets: These tickets include entry to our Sausage and Cider night from 5:00pm-11:00pm, an evening of live music and one locally produced, handmade hot dog per person. Entry to our Sausage and Cider night from 5:00pm-11:00pm, an evening of live music and one locally produced, handmade hot dog per person. Normal camping fun will apply, including The Outdoors Project, Deano’s Snake Shack, Meet the Chickens, Friday Night Food Van. 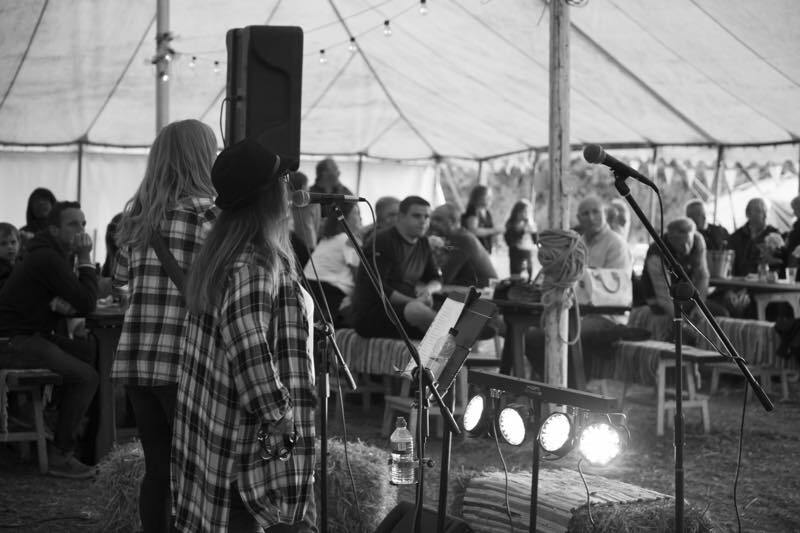 Live music will be performed on our Old Chook Stage throughout the evening so that you can listen and dance away with your family and friends. Our bar will be stocked with locally produced cider, gin, sparkling wine, ales and lagers as well as a range of other alcoholic and non-alcoholic drinks. We will have locally made sausages from Holmansbridge Farm Shop in Barcombe for you to tuck into, cooked on our farmers BBQ.